Welcome to the 21st century, a time when we can freely travel to practically anywhere on this Earth. And at the same time, we can buy a cheap SIM card to make calls and get connected to the internet. What you may not be aware of are a few precautions you should take when buying and using local SIM cards in foreign countries. 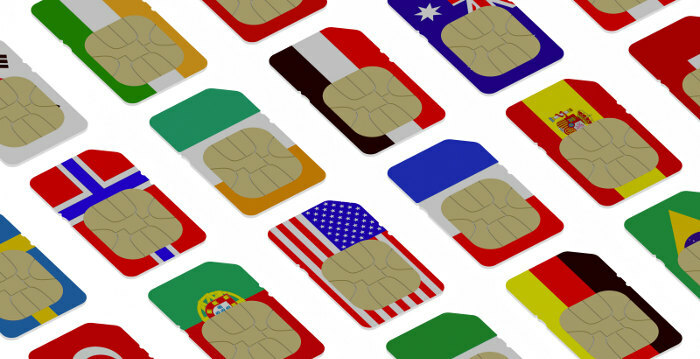 Here are some practical tips, tricks, and safety considerations for using local SIM cards. In addition, you should receive instructions on how to check your balance, reload, and even change the language when calling in to ask for help. *Be aware that it’s generally not as easy to locate these authorized dealers and that it may end up costing a bit more than going through a street side vendor. Sending any unnecessary texts or calls. *Most vendors are genuinely helpful and are doing you a favour by helping you to install and configure the SIM card; just be alert for the ones that aren’t. There are a number of reasons why you should buy a brand new SIM card even if a used one is offered to you at a discount. Using a used SIM card may open you to receiving harassing phone calls or texts from the previous owners of the SIM card. As well, the SIM card may already be registered to various calling programs that may drain the credits that you put on the card such as a silly ringtone or music download service. Lastly, a used SIM card may have been used for illicit/illegal activities- you do not want to be suspected for being involved with any such thing in a foreign country. If you receive an sms or phone call stating that you need to reply right away to collect your free phone credit, or that you’ve won a lottery and only need to call a special number to collect it, it’s generally safe to ignore these messages. It’s likely that if you do act on them, it will lead you to losing the credit you have stored on your SIM card. Yes, you cannot ever escape the annoyance of receive telemarketing calls- even if you’re in Ulan Bator. *One of the few legitimate text messages you do need to pay attention to is when you happen to be in one of the very few countries in the world were they require you to jump through multiple hoops to properly register your SIM card- yes we’re looking at YOU, India! In this isolated case, you will need to act in order to keep your SIM card activated. It’s more likely than not that you need to register your SIM card with some form of identification (such as your passport). If you’re thinking of passing along you’re used SIM card to a fellow tourist or local, you run the risk that at some point, that SIM card may be used to engage in illicit/illegal activities. As well, the SIM card may have logs of your personal call log history a well as contact phone numbers. It’s preferable to properly dispose of any used SIM card by either destroying it or keeping it as a souvenir. Which mobile operator do you pick? Each country will generally have two or more mobile operators to choose from. It’s probably safe to choose the one that has the widest coverage if you plan to travel around the country. Browse through the Destination Tech Guides – if your destination country is listed, you’ll find the best mobile operator for you.